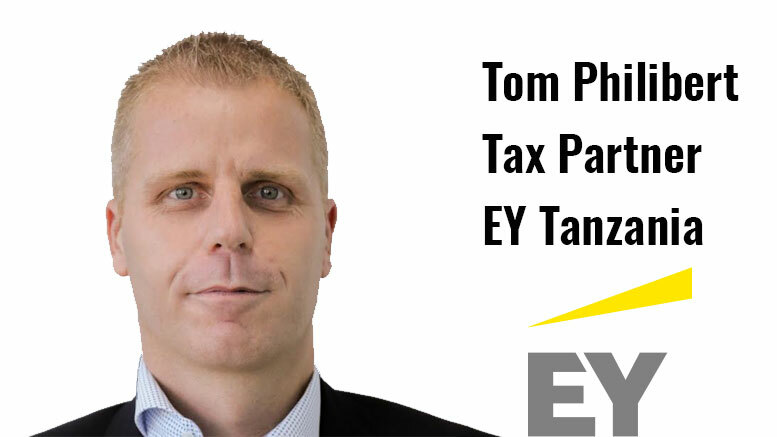 TanzaniaInvest had the pleasure of interviewing Tom Philibert, Tax Partner for Tanzania at Ernst & Young (EY), one of the largest professional services firm in the world with strong expertise in tax, accounting, audit and advisory. Philibert talks about the current tax environment of Tanzania, and the importance of implementing the right tax framework to support business and investments. He also discusses the expertise of EY in the Tanzanian tax space. TanzaniaInvest (TI): The Tanzanian tax system relies on the contribution of VAT, income tax, import duties, and excise taxes. To what extent do you consider the current tax framework to be competitive and conducive for investment? Tom Philibert (TP): Unfortunately the tax system of Tanzania has somewhat worsened in the past years. Due to severe pressure on public finance, the Government is reacting with several fiscal measures. The complexity and lack of clarity of certain new tax rules and the tremendous focus on tax collection are often indicated by clients as factors creating concerns for the business and investment climate. In the first place, companies need stable and predictable tax treatments for doing business and making investments and expansions. I believe that companies do not mind paying taxes as long as the tax system is fair and reasonable, predictable and as long as there is a legal basis for these taxes. Although the need for public funds is clear, there is a limit to how much tax companies can withstand, and if this limit is breached, it might disrupt business and prevent taxpayers of making additional investments. I think the level of taxation for certain sectors is already quite high; for example tourism, mining, oil and gas, telecom. Taxation should be predictable as well, not suddenly changing the landscape. Otherwise it is impossible for investors to calculate the cost and return on investment. I believe that the Tanzanian tax system would be significantly improved if taxpayers could conclude rulings with TRA to agree and clarify the tax treatments of certain investments and transactions upfront. This would give taxpayers and investors more certainty on how certain transactions would be treated from a Tanzanian tax perspective. It would also make the job of the TRA easier, and the TRA will get more insight in the running of the companies. If this could be carefully and efficiently implemented, it would be very beneficial for the Tanzanian business and investment climate, as well as for Tanzania’s ranking on the ease-of-doing-business scale. In practice, companies in Tanzania are often faced with long audit cycles. Typically, a company files tax returns, and after a couple of years, the Tanzania Revenue Authority (TRA) reviews the returns and conducts an in-depth tax audit of the company, which is a very time-consuming process for the taxpayers and the TRA. This could put the continuance of the business in jeopardy, because companies are busy with reconstructing what has happened in the past and sometimes are faced with huge unexpected tax bills as a consequence of the tax audits that are performed. This could be partly prevented by concluding advance tax rulings. TI: What causes such unexpected tax bills arising years later? Is it due to the introduction of new taxes along the way, or a possible misunderstanding of the tax framework? TP: In principle new taxes do not have retro-active effect; so new legislation should not have a direct impact on tax audits of earlier years. To a certain extent, tax audit adjustments are related to errors that were made by the company in the past, or items that cannot be sufficiently substantiated by underlying documentation. But it could also be the consequence of a different interpretation of an applicable law between the TRA and the taxpayer. This happens because the law is often not clear, with the TRA and the taxpayers having a different interpretation of how the law should be applied. That is also the reason why it is a concern that the audit cycle is so long and that no advance tax rulings are concluded, because it means that that uncertainty continues. If decisions are taken on how certain items should be interpreted and treated, then that gives guidance and precedence for the future. We notice that in practice the TRA is coming in very keen on concluding the first part of the audit, based on which they issue their tax assessment. If the taxpayer disagrees, he can object to the assessment, but based on the Tanzanian Tax Law, he has to pay 1/3 of the total assessment amount to be able to object, which is a direct cash out for the company while the subject is still undecided and in dispute. But after the taxpayer has filed his note of objection, it takes in general a very long time before the discussion continues and a decision is obtained. This gives the impression that the first focus is on collecting the 1/3 payment rather than on closing the tax audit; apparently there is a huge pressure on immediate cash collection by the TRA. TI: On July 1st, 2016 the VAT was suddenly introduced on tourism and financial services. What is your take on that? TP: There is no issue with changing the landscape as such, but as already mentioned it is always a balancing act between enhancing revenues and maintaining a fair and attractive taxation system. If the tax pressure gets too high or the landscape changes too often, companies may refrain from making further investments and even may decide to continue the business elsewhere in the region. Tourism and the financial sector were traditionally already high taxed; so one should be prudent when introducing new taxes in this sector. If tourism is overtaxed, travels to Tanzania may become too expensive compared to other destinations and tourists may decide to go on safari elsewhere in Africa. This would be a disaster for the sector and the employment in the industry, including their suppliers, and would have a big negative impact on the economy of the country. So before introducing new taxes or an increase of the existing taxes, one should carefully assess the possible impact. Further, new legislation should be clear. In my opinion, the law with respect to the amendments to the VAT legislation is not clear enough. For example, as of 1st July 2016, fee based financial services are subject to VAT. So based on the law, interest payment on loans should be subject to 18% VAT. When announcing the law changes, the Minister however indicated that interest should not be affected by the new law amendment with respect to fee based financial services. Taxpayers can rely on this policy statement, but needless to say that the tax technical dimension of the statement is not very clear and that it would be much more preferable to have this governed by the law itself rather than by unwritten policy that can be changed overnight. TI: What are EY’s competitive advantages in tax advisory in Tanzania? TP: EY has a very large and strongly experienced team which understands the law and the business environment. We also have a large network, on which we can rely, and so, we are exposed to a vast experience on how similar issues are treated in different countries, and this is a major asset for us.